Sales of plug-in hybrid, a.k.a. extended range electric vehicles, are set for rapid growth, says analysis company Frost & Sullivan. The company issued a report on Tuesday pointing out that plug-in hybrid vehicles are both a great way to wean oneself off petroleum, at a lower cost over the all electric vehicles, while offering longer overall driving range. Drivers of all electric vehicles, like the Nissan Leaf or Ford Focus Electric or Tesla Model S, of course do not use gasoline. For many that is a primary reason for driving an electric car, to eliminate gasoline use, and cut ties with the baggage that goes along with gasoline such as the environmental consequences, or the Middle East political quagmire the U.S. must embroil itself in to preserve access to oil supplies. However with the current stage of technology development electric cars are a harder sell than gasoline cars. The purchaser must understand how to work with the range limitations and the potential to save money on fuel and maintenance. Frost & Sullivan claims these issues have limited the appeal of electric cars, while the plug-in hybrids have had stronger sales. 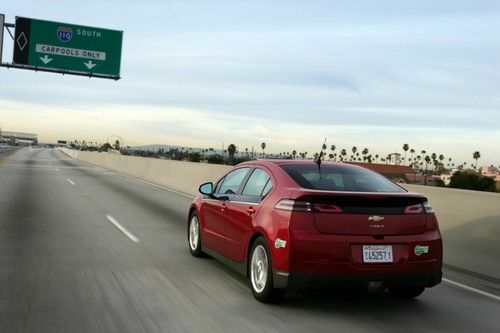 The current market for plug-in hybrid cars is primarily the Chevy Volt. Other plug-in hybrid cars include the Ford Fusion Energi, Ford C-MAX Energi, Toyota Prius Plug-in and Fisker Karma. Other models are on the way such as the Honda Accord Plug-in and the BMW i3. Frost & Sullivan claims there will be more than 18 plug-in hybrid models by 2018, and that yearly sales will be 329,277 units. The specific drive train choices will include internal combustion engine range extenders, fuel cell range extenders and micro-gas turbine range extenders. In each case you have a battery pack plus a gizmo that recharges the battery pack by consuming some form of fuel. This differs from a battery electric vehicle, where there is only a battery pack, that can only be recharged at a charging station. The viability of a "range extender" is to rely on a fuel that has higher energy density and faster refueling times than battery packs. Refilling a gasoline tank is much faster than recharging a battery pack, because of current battery limitations. The plug-in hybrid vehicle usage patterns can consume very little fuel, depending on the size of the on-board battery pack. Typically the range extender is used solely to recharge the battery pack, and the battery pack can also be charged by it plugging into the electrical grid. The larger the battery pack, the further the extended range electric vehicle can drive on electricity from the grid. Chevy Volt owners routinely spend weeks at a stretch without using the gasoline engine, because the 40ish mile electric range is enough for typical average daily driving needs. Diesel or gasoline internal combustion engines as a range extender are expected to be the most popular model. Fuel cell vehicles require hydrogen, and there is essentially zero infrastructure for hydrogen delivery to the public. "Range extender technologies overcome the major challenge of range anxiety and extended times taken to charge, by generating onboard electricity with the help of different technologies such as internal combustion engine, fuel cell stack and micro-gas turbine," explains Frost & Sullivan Automotive & Transportation Research Associate Prajyot Sathe. "This is fuelling the trend toward plug-in hybrids and eREVs."